"Project Peppermint" is a documentary about the life of the remarkable New York City drag-queen legend. Harlem, 2016. Peppermint, a fallen NYC drag starlette, is finally being approved for her medical transition. She has been living off survival gigs for the last 20 years, and has been keeping her trans identity a secret, with the fear of losing her drag career. After finally getting on VH1’s RuPaul’s Drag Race, she rises to international fame and both her life and her career come to a head as she comes out as trans on national television. "Project Peppermint" is the working title of the documentary about the life of the remarkable New York City drag legend, Peppermint. The audience will be taken on a journey through her transition while she rises as an international star on VH1's RuPaul's Drag Race. The film will address topics such as fame, gender and identity, searching for an answer to the question "can a trans woman be a drag queen?" We have been documenting Pep's struggles and triumphs since 2016, even before she found international acclaim on Rupaul's Drag Race. Over the past 2 years, we have filmed close to 200 hours of footage and interviews with Peppermint, her close friends and celebrities such as Lavern Cox, Cazwell, Trace Lysette ("Transparent"), Bob The Drag Queen, and others. We spent countless hours with her as she traveled across the country and to Europe, filming her everyday interactions that form a full picture of the life of Peppermint interacting with her fans, her doctors, and the people who know her best. The project has been self-financed from the moment we started filming. In 2017 we ran a crowd-funding campaign through Indie GoGo and achieved our initial goal within the first two weeks. The film is currently is post production and is expected to be finished in 2019. "If I didn't get on the show"
Peppermint reveals what she would've done if she never got on Rupaul's Drag Race. Behind the scenes with Peppermint and sasha velour, The finalists of Rupaul's Drag Race Season 9. The film's director, Oriel Pe'er talks about the PROCESS of making the film. Oriel is a New York-based filmmaker and photographer whose work has been published on TIME magazine, Resource Magazine, The Huffington Post and NOWNESS. Oriel worked on castings for A&E Network, MTV, Bravo, Lifetime and TLC and served as the resident filmmaker & visual artist for the world-renowned dance company Pilobolus. 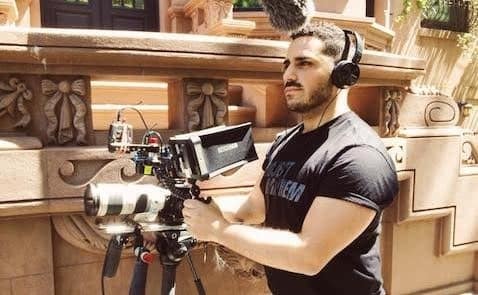 He produced short films for ARTNET and content for the gay dating app SCRUFF. He photographed Glenn Close, Anthony Bordain, Willem Dafoe, Tippy Hedren and others for The Modern School of Film. Marsin is a photographer, filmmaker and the creative director of Social Life Magazine. His film highlights include 'The Making of 2015 Spring Collection' short film for America’s runway show at Lincoln Center as well as the music video tribute to George Michael, Too Funky (ft Ari Gold & the cast of Rupaul's Drag Race season 9). Michael is an NYU junior student Media, Culture, and Communication. Originally from Crown Point, Indiana, Michael has interests in the entertainment industry as well as the non-profit sector. He currently works on the Runner Services team at New York Road Runners where he combines his passions for running and people to engage with runners and provide a positive experience. Mel is a multimedia producer from Detroit, Michigan working in New York City. She studied Media, Graphic Printing Sciences and Textiles at Western Michigan University.She is interested in sociology and the arts and hopes to continue producing projects that drive inter-sectional and progressive social conversation. Mel is currently working in media production at Art + Commerce.